As adoption of distributed ledger technology (DLT) in the financial services industry moves ever closer, discussion is progressing to the next level of detail on questions of identity, governance and jurisdiction. The majority view – shared by industry consortia and regulators - is that DLT networks in financial services will need to be private, permissioned environments in which all participants are fully identifiable, in contrast to the pseudonymous approach taken by Bitcoin. 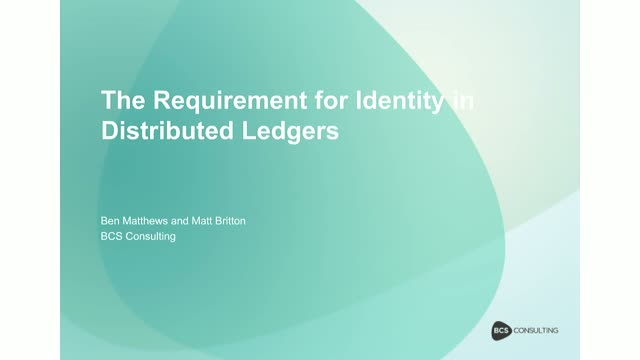 This webinar will explore requirements for identity in the context of industry-strength DLT networks, and highlight key considerations for industry participants going forward.